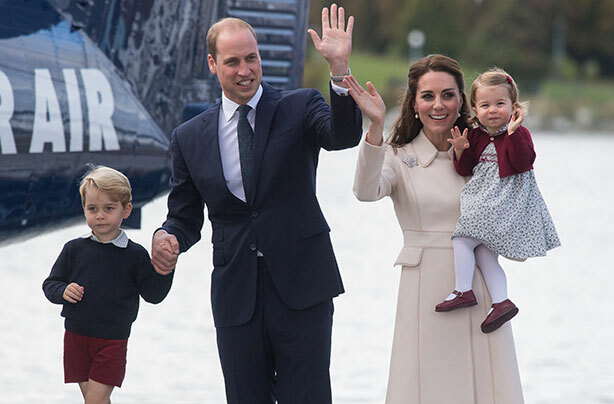 Prince William and Kate’s love of sport is clearly influencing their two children, as the couple revealed during an event yesterday that they have intentions for Prince George and Princess Charlotte to learn to swim, play tennis and take an interest in football! The royal couple attended a Coach Core event with Prince Harry yesterday, which focused on graduates of an apprenticeship scheme that gives young people aged 16-24 the chance to become amazing sports coaches. Writing on the trio’s official Twitter account Kensington Palace explained: ‘Coach Core was founded by The Royal Foundation in 2012 & is a powerful legacy of The London 2012 Games & is close to the hearts of Their Royal Highnesses. 🎥 Watch the highlights from today's fantastic @WeAreCoachCore Graduation event. With an afternoon focused on sport and meeting professionals from disciplines such as gymnastics, tennis, football & rugby, Kate and William couldn’t resist revealing that they hope their two children will take an interest in sport too in the future. Prince William even took the opportunity to invite a young recently-trained coach to teach Prince George and Princess Charlotte to swim. The youngsters, who are aged four and two, will clearly be taking advantage of living close to the swimming pool that’s thought to exist in Buckingham Palace now, with their parents seeking to enrol them in swimming lessons. 22-year-old Alex Ferrier, who has qualified as an instructor in the pool through Coach Core, revealed that William had suggested he might teach the young Prince and Princess to swim. 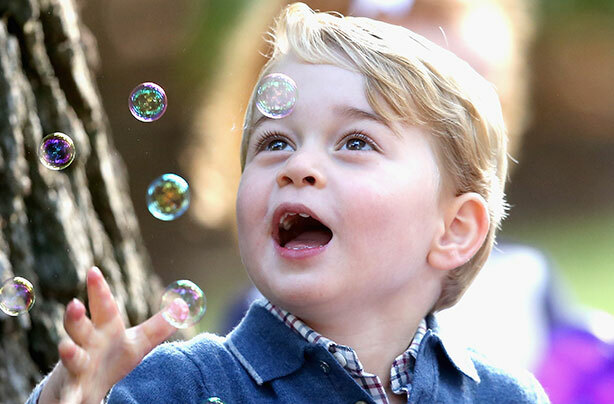 Kate, who is currently pregnant with her third child, also shared that the couple are keeping up Prince George and Princess Charlotte’s tennis training. The Duchess, who spent time catching up with friend Judy Murray during the event, has previously said that her two children have shown an interest in the sport, and liked to play around on the tennis court at the family’s former home Anmer Hall in Norfolk. Chatting to Judy, who is the mother and former coach of British No.1 tennis play Andy Murray, Kate swapped tips for how to improve her children’s coordination, and keep them interested in the sport. As well as swimming and tennis, it seems that the Duke is also keen for his children to take an interest in football, with hopes that they might accompany him to watch a match one day. 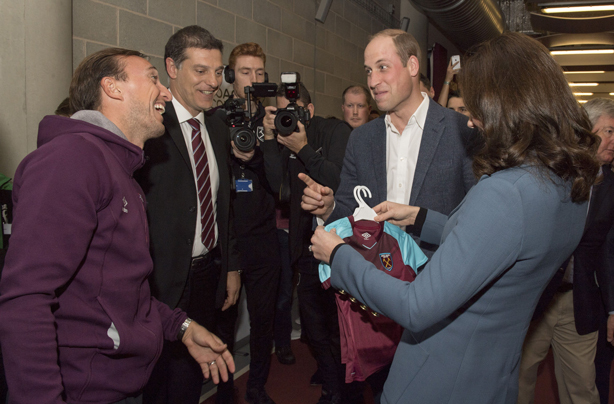 Prince William, a well known Aston Villa fan, revealed that although he’s keen for his son to follow in his footsteps and support his football team too, his aware that Prince George will likely end up making his own mind up about who to support. ‘The responsible thing would be to say, to let him make his own mind up, but I think I might be quite biased,’ William joked yesterday.